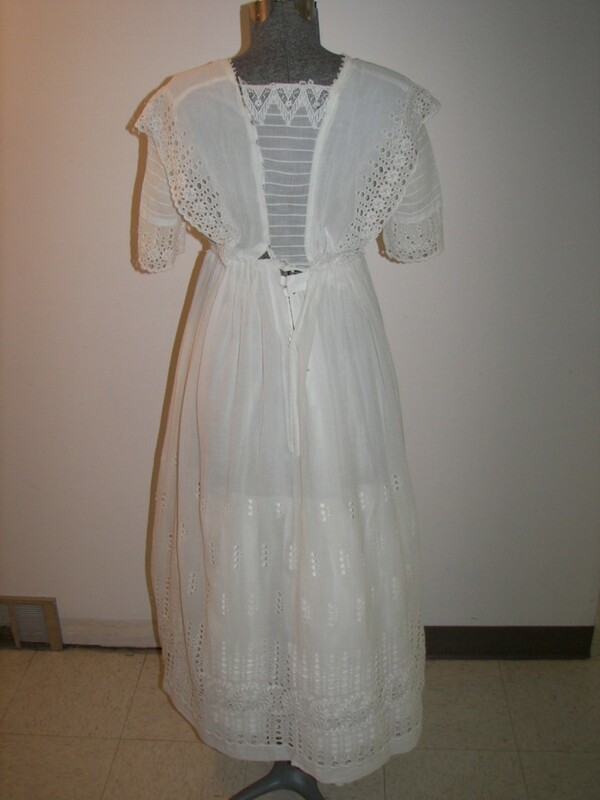 LOVELY WHITE EDWARDIAN DRESS & SLIP ALL HAND MADE. 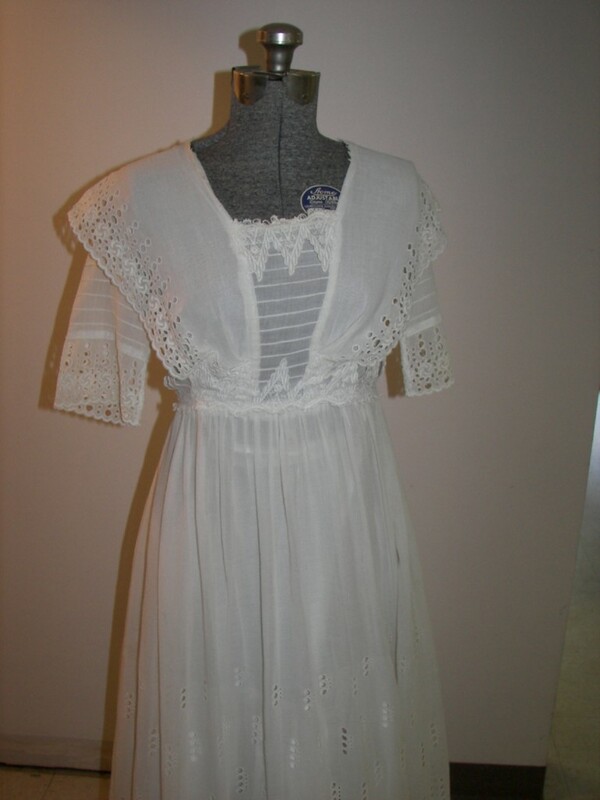 THE DRESS IS A BEAUTIFUL WHITE GAUZE MATERIAL WITH BEAUTIFUL HAND WORK EMBROIDERY TRIM THROUGH OUT.THE DRESS MEASURES 26 IN AT WAIST LENGTH 37 WAIST TO HEM THE SLEEVE IS 11 IN AND 34 AT BUST UNDER ARM. IT IS VERY SMALL TOO SMALL TO CLOSE IN BACK ON MY MANIKIN . 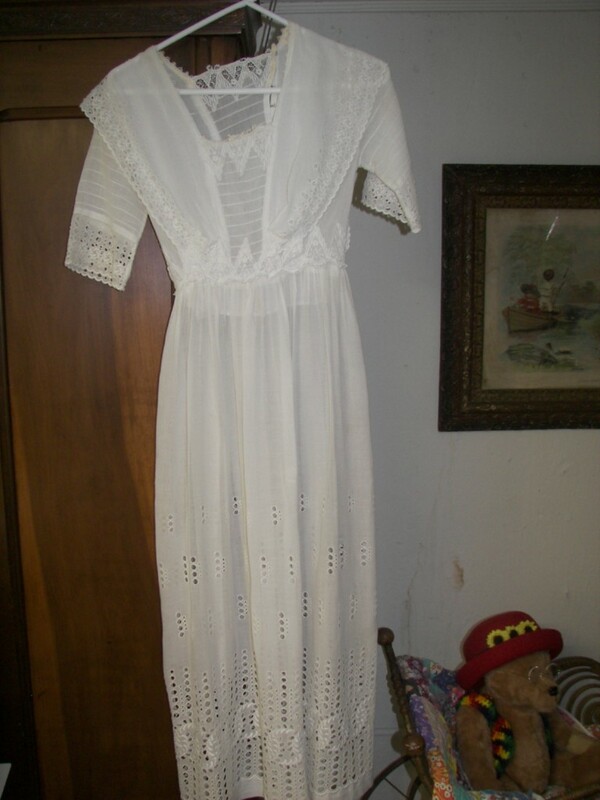 DRESS IS IN EXCELLENT CONDITION FOR I9TS AGE LAUNDERED AND FRESH. THE ONLY DAMAGE IS A TINY DIME SIZE REPAIR IN FRONT SKIRT SEE PICTURES. 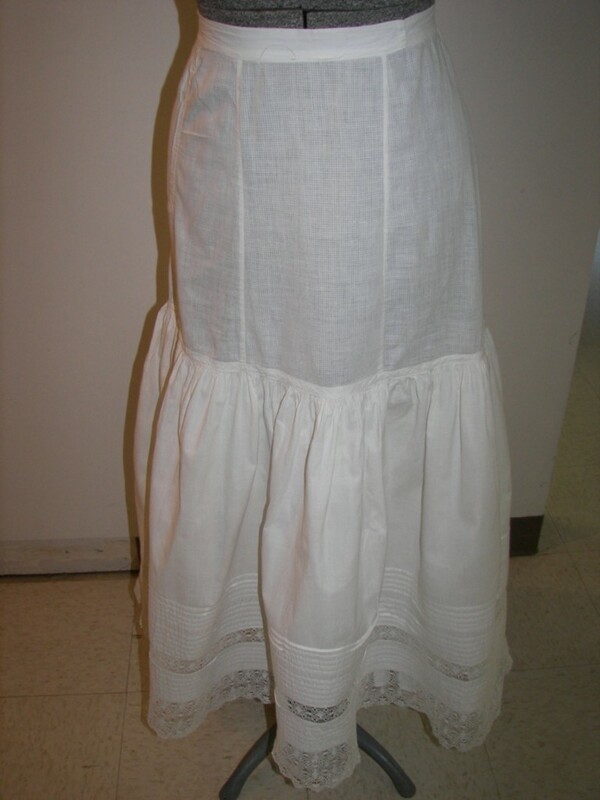 THE SLIP IS A COTTON MATERIAL . 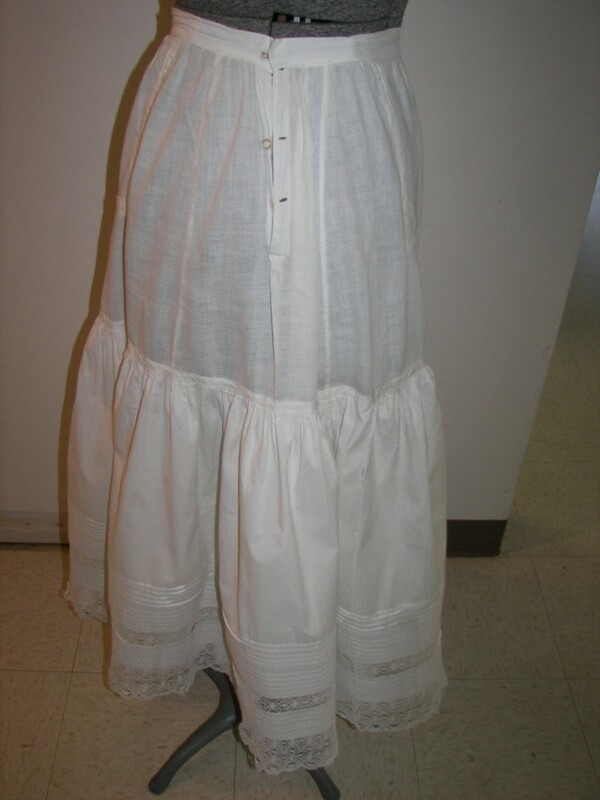 IT HAS A DOUBLE BOTTOM SKIRT WITH LOTS OF TINY PLEATS AND BEAUTIFUL HAND MADE LACE . IT ALSO HAS BEEN LAUNDERED AND IS FRESH AND READY TO ENJOY. NO DAMAGE OR STAINS. 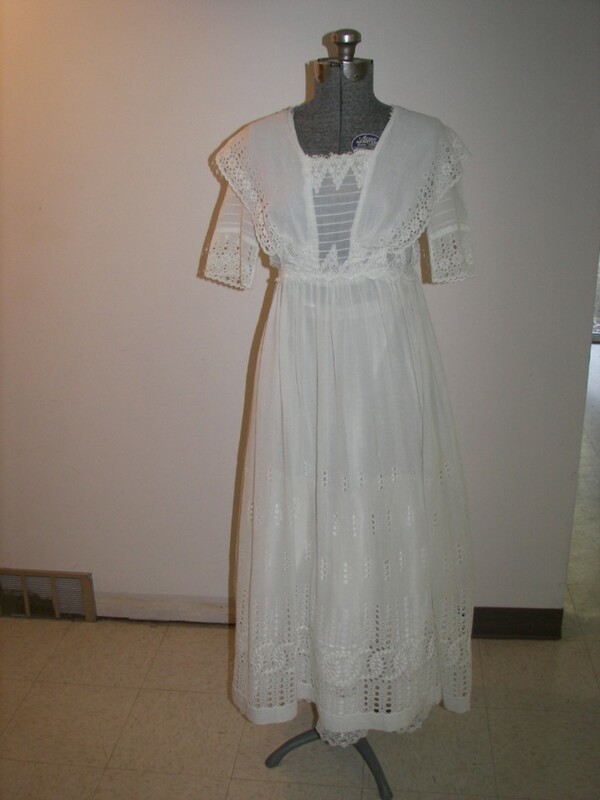 BOTH ITEMS ARE A LOVELY SHADE OF ANTIQUE WHITE. THEY WERE PURCHASED AT SAME SALE .I CANNOT GUARANTEE THAT THEY WERE MADE TO BE WORN TOGETHER BUT THEY COMPLEMENT EACH OTHER AND ARE FROM SAME TIME PERIOD. 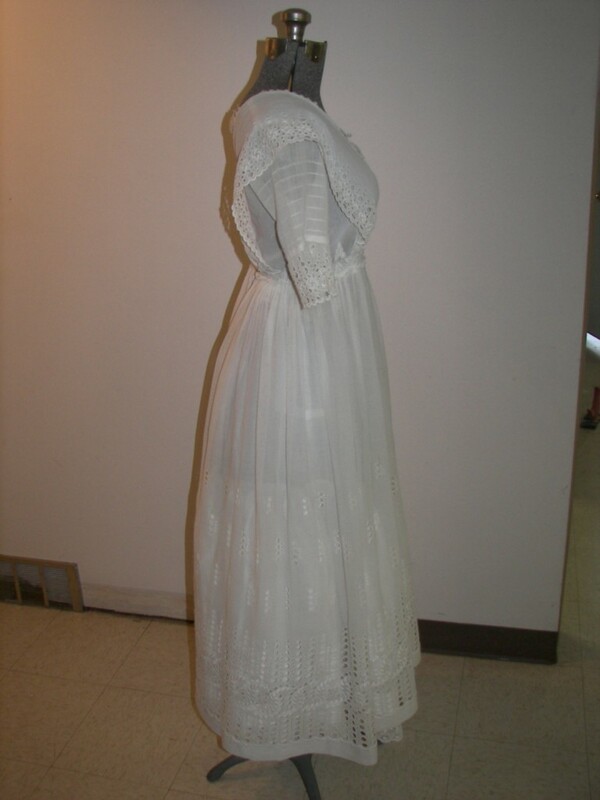 I agree with the seller that the petticoat goes well with the dress and might have been original to it.